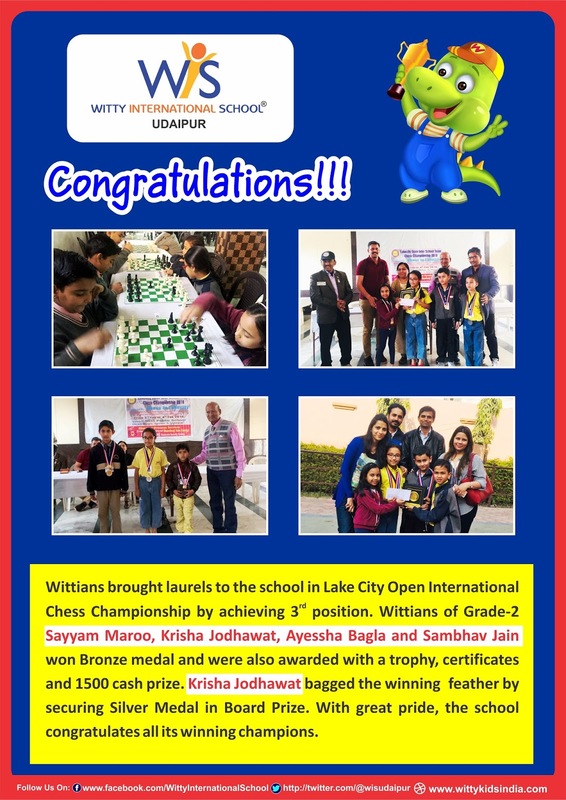 The WIS, Udaipur team brought laurels to the school in Lake City Open International Chess Championship by achieving 3rd position. 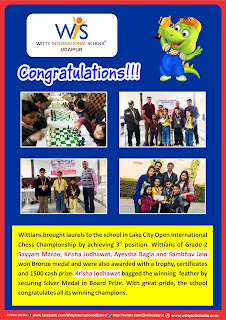 Wittians of Grade-2- Sayyam Maroo, Krisha Jodhawat, Ayessha Bagla and Sambhav Jain won Bronze medal and were also awarded with a trophy, certificates and 1500 cash prize. Krisha Jodhawat bagged the winning feather by securing Silver Medal in Board Prize and won 5 rounds. With great pride, the school congratulates all its winning champions.